Perhaps more importantly, the bounce occurred at the same 2870 area where the S&P 500 peaked in January before crashing and consolidating through the spring. ( Click here for our special report on the key “engulfing candle” reversal pattern.) 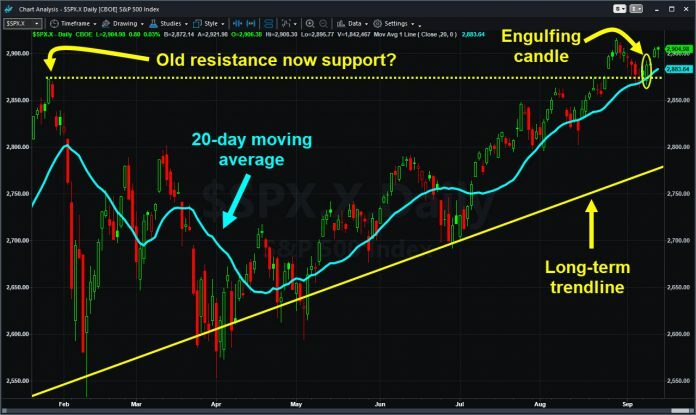 Has old resistance become support? This article was written by David Russell, TradeStation Securities, Inc., part of the Monex Group Inc, published on 17/09/2018.